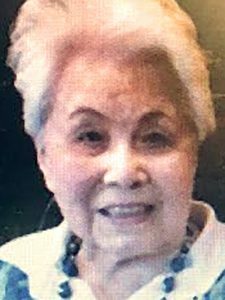 CHICAGO — The Chicago Chapter of the Japanese American Citizens League has issued the following statement about the case of Grace Watanabe, which recently made national news. According to a petition filed in the Circuit Court of Cook County by the Cook County Public Guardian, employees and others at Symphony Residences of Lincoln Park “robbed” financial assets exceeding $600,000 from bank accounts belonging to Grace Watanabe, a 97-year-old Japanese American who had resided at the facility since 2010 (the amount has since been adjusted to over $750,000). The Chicago Chapter of the Japanese American Citizens League (JACL) is keenly interested in supporting efforts to seek restitution for Ms. Watanabe for the harm caused to her. JACL Chicago’s interest stems from our mission and history of protecting the welfare of members of our community. During the 1940s, JACL Chicago provided support to ease the transition of Japanese Americans from their confinement in concentration camps to their resettlement in Chicago. In the 1980s, JACL Chicago actively participated in a successful legislative campaign to provide an apology and monetary restitution to Japanese Americans who were detrimentally affected by the unjust actions of the federal government in 1942. During World War II, Grace Watanabe was among 120,000 Japanese Americans forcibly removed from their homes on the West Coast and confined in American concentration camps. Racial prejudice and false government claims about the national security risk posed by Japanese Americans resulted in the denial of their due process rights and their liberty. In 1942, Grace Watanabe was targeted because she belonged to a vulnerable group incapable of defending itself against a tide of racism and government hostility. At Symphony, where she should have been cared for and protected, Grace Watanabe fell victim to those who targeted and took advantage of her because she was no longer capable of handling her own personal finances. JACL Chicago deplores the behavior of Symphony employees including its ownership and management. JACL Chicago supports efforts to seek restitution and justice for Grace Watanabe. Members of JACL Chicago have met and will continue to meet with and support the actions of the Cook County Public Guardian, the Chicago Police Department, the Cook County State’s Attorney’s Office, and others associated with this case. We will continue to monitor progress in the case, provide advocacy when needed, interact with our organizational partners, and explore the long-term need for strengthening deficiencies in state laws and regulations that may have given rise to the abuse suffered by Grace Watanabe. To inform our membership, JACL Chicago will be sharing updates regarding the Grace Watanabe Case. Grace Watanabe, a 97-year-old Japanese American survivor of the Poston incarceration camp with no living relatives, is the victim of an extensive financial exploitation scheme, allegedly perpetrated by employees of Symphony Residences of Lincoln Park (Symphony), whose role was to care for Ms. Watanabe, but instead robbed her of most of her estate. Symphony Post Acute Care Network operates a large chain of dozens of nursing homes in the Midwest. The civil case is currently in Probate Court and is in the discovery period. The criminal case is currently being handled by the Chicago Police Department and is also in the investigation phase. The Grace Watanabe case can be simplified into two areas of the justice system, the civil side and the criminal side. The civil side, led by the Cook County Public Guardian’s Office, will seek restitution in full for Grace Watanabe from the individuals and institutions involved. On the criminal side, a Chicago Police Department detective is investigating, and there may be criminal charges filed against the individuals. Because of how extensive this case is, the length of time of theft, and the connections between alleged perpetrators, both the attorneys and detective on the case require time to gather as much information and evidence as possible. Civil Side: The Cook County Public Guardian’s office has appointed a guardian ad litem for Grace Watanabe and will be assisted in the lawsuit by the private law firm Levin & Perconti to pursue the five individuals who allegedly stole from Ms. Watanabe along with Symphony for restitution in Probate Court. The first act of the Public Guardian’s Office was to remove Ms. Watanabe from Symphony and place her in an undisclosed nursing home where she is safe and well cared for. Since then, the Public Guardian’s Office has been in the discovery phase of the civil case. The Dec. 5 hearing was to give a status update and continue to request more time for discovery and depositions. The attorneys for Ms. Watanabe will be in the discovery period, gathering more evidence, until a March 2019 court hearing date is determined. The Public Guardian’s Office has been very proactive on this case and has continuously met with JACL Chicago leadership in working together to seek justice for Ms. Watanabe. JACL Chicago will keep the community updated on the next hearing date. Criminal Side: The Chicago Police Department (CPD) has assigned this case to a detective in the Financial Crimes Division. JACL Chicago has spoken with the detective and they are in the middle of their investigation of gathering evidence against the individuals involved to submit to the State Attorney’s Office for potential criminal charges. Due to it being an ongoing investigation, the detective is limited to the information they are able to share with the community. JACL Chicago has been assured that they are working on the case and because the burden of proof is higher than in civil court, CPD needs to gather enough evidence to prove beyond a reasonable doubt. Once all evidence is gathered, the detective will submit the evidence to the State Attorney’s Office, who will determine whether to seek criminal charges. JACL Chicago will keep the community informed on when the case will be turned over to the State Attorney’s Office. JACL Chicago formed a committee following our annual meeting consisting of Bryan Hara, Mari Yamagiwa, Bill Yoshino, and Ross Harano. The goal of this committee is to stay up to date with the case, work with the Public Guardian’s Office to assist Grace Watanabe in any way, properly disseminate information and updates regarding the case to the community, and create the proper organizational strategy to aid in the restitution for Grace Watanabe. Up to now, the committee outreached for turnout for the Dec. 5 hearing, which included over 30 community members. The judge took notice along with the attorneys present. They ran out of space in the courtroom and it was standing room only. After the hearing, the committee had the attorneys for Grace Watanabe address the community that turned out to answer questions and give updates on the case. On Dec. 10, the committee met with the Public Guardian attorney, the law firm of Levin & Perconti, a representative from the State Attorney’s Office, and the Public Guardian’s public relations representative. The committee has begun initial conversations with media outlets and will issue a statement soon. They have also spoken with the detective on the case to find out the status of the criminal side of the investigation. The committee will also take charge in reaching out to other organizations for support. The committee will deliver the letters to the Public Guardian’s Office to give to Ms. Watanabe. This is a great way to support Grace Watanabe and show her that she has a large family that cares for her in the Japanese American community.